After an October of frenzy in the Indian hip-hop scene, November had its work cut out and surprisingly, it beat all expectations. The month saw Manmeet Kaur release one of the most cohesive and well-produced albums of the year. Hip Hop Bahu, Manmeet Kaur’s debut album took a few by surprise. The album showcases the globally tunedÂ Punjaban, based in Chennai,Â traversing through diverse themes with her bars, rhythmically enveloping seasoned rap fans with a warmth and comfort reminiscent of that of the soul-filledÂ â€˜ Kaur sounds solid and consistent through the project and the production is clearly above average to say the least, as the femcee is backed by a host of international beatsmiths including the likes of Berlin representer Figub Brazlevic and Kazi, who hails from California and used to be a part of Madlibâ€™s Lootpack Crew. We bumped ‘Funk De Vyapaariâ€™ and ‘Another Old Monk Day’ a bit more than the rest of the project. In the clutter of rap releases and macho artists, the emergence of a femcee is always a welcome change, but November served a double blessing for Indian hip hop as another Mumbai femcee, Dee MC, dropped two music videos too. One was titled “Kal” and the other was called “Greenhouse Effect” where the 20-year-old makes no attempt to belie the subject matter in the song title. On the performance front, November witnessed one of the biggest events in terms of scale and production in the Street Art Festival in Mumbai. 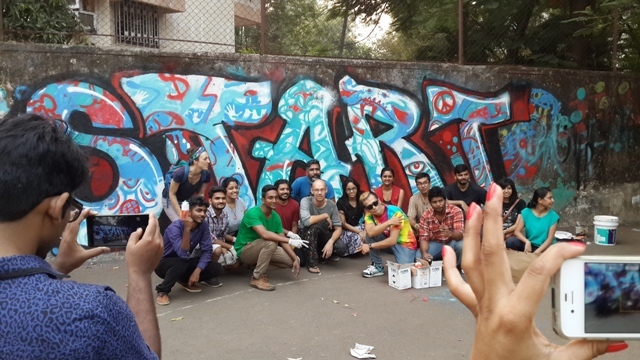 Organized by St+Art India Foundation, the fest featured internationally renowned writers like Chose (China), Ano (China) and Bond (Germany), among others collaborated with well-known local artists such as Zake (Mumbai), Flash (Nasik) and Daku (Delhi) to paint murals and conduct workshops in various parts of Mumbai over the duration of the month. The festival wrapped up with two days of cyphers, workshops andÂ battles encompassing most elements of the culture and featuring, among others, the now internationally-known Slumgods crew of Dharavi. Down south, Bengaluru b-boys Black Ice Crew hosted their annual festival â€˜Freezeâ€™ this November, with this yearâ€™s events once again justifying the hype thatâ€™s now attached to the event. 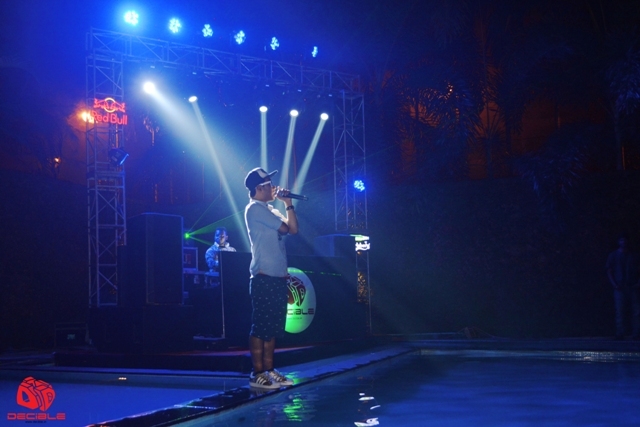 The festival preceded the double whammy of another Bengaluru artist, Brodha V, rockinâ€™ Blue Frog Mumbai and Pune with five-MC coalition Bombay Rap Cypher. Rapper-DJ duo Big Deal and DJ Panic also embarked on and completed their ‘Deal with Panic’ tour, which made pit stops in Kolkata, Darjeeling, Itanagar, Gangtok and Siliguri. Even further east, BEAST Mode crewâ€™s B-Boys Ninja & Sonic took Indian hip hop international, representing the country at the K-Battle in Thailand. We were also all charged up when we learned about B-Girl Musick (of Freak N Stylz Crew) launching a new clothing line â€“ Mighty Soul. 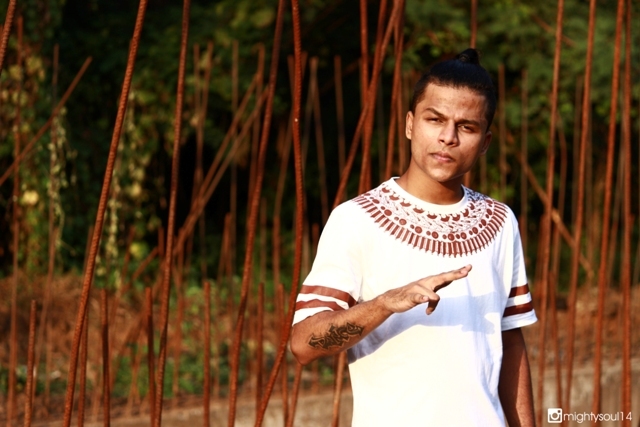 Unlike most urban clothing brands, Mighty Soulâ€™s designs, quite evidently, are inspired by a combination of Indian motifs and American hip-hop culture. Not only do we want to give Musick and her team props for the initiative, but the truly creative approach to the venture too. November was also a month filled with stark reminders of how far we still have to go in the Indian musical horizon. For a month that was full of music festivals, apart from Bombay Bassment playing at both, the NH7 Weekender and the Vans New Wave Festival, and DJ Sa spinning at Weekender, no other local hip hop artists were invited to participate in either festival or any other major musical showcase. This despite Kolkata enjoying a pre-Weekender hip-hop bash featuring the cityâ€™s best hip-hop acts, such as The Cypher Projekt and K Krew. This is disheartening as we believe the time really is ripe for established venues and promoters to reach out to the local hip-hop community. Decemberâ€™s looking up though with two major events: The Culture 2014 and Thane Hip Hop Movement’s â€˜The Eternal Cultureâ€™ (Book Tickets Here).